Any Personal Finance Blog will tell you that the fundamental key to financial freedom and success is to make more money than you spend. There are a number of fancy ways to say this and different equations that can be used, but the basics should be kept simple. I have had credit cards for all my adult life (almost 7 years now) and took advantage of numerous student credit cards whilst at University. With discipline and control over the years, these have been building me a nice credit score which makes me eligible for some pretty good deals on balance-transfers, rewards, cashback and introductory spending periods alike. Aqua is just one of many brands who offer cards to all sorts of people – it is a common misconception that you can’t get a credit card when you are just starting out. Credit History is VERY important! Earn More – Whether it be side hustles, impressing at work, passive income or a second job – there are lots of ways to take home more money. This article won’t discuss making more, but be sure to check out the Passive Income Series. Spend Less – Probably not the first thing you think of when deciding how you can end up with more money each month, but by far the best place to start in my opinion. Too many people take even basic fixed costs for granted – assuming that services and utilities are fixed costs. Always Calculate the Pre-Tax Amount You are Spending! What the heck does this mean? This means that when you see a mobile phone bill at £40 a month; not only is this £480 a year, but it is equivalent to £600 a year before tax as a standard rate tax payer),or £800 a year as a higher-rate tax payer. This means that it is more valuable to reduce money out than to increase the money in by the same amount due to Tax. Regularly Search for New Insurance / Utility Deals – Searching for new policies and utilities should be a regular task. I frequently use cash back sites like quidco or topcashback to save even further. There are frequently affiliate cashback offers to be had! Use Comparison Sites and Consider Combining Policies to Save More – Bit of a no-brainer, but comparison sites help to ensure that you really do get a competitive deal. I always check more than one and then also try with the cheapest companies directly / via cashback sites to get the best deal possible! In Part 1 I mentioned a number of my basic monthly outgoings and set myself a target to reduce these. 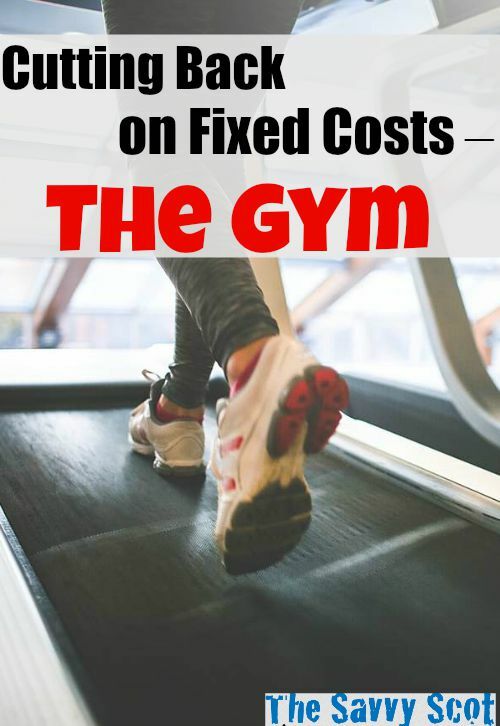 One of the questions I pitched to you guys was around the topic of Gym Membership – I was paying £91.00 per month for a (joint) membership to a very nice health club close to where we live. Given that we live such busy lives and that I have a free gym available to use at work, unfortunately we were only managing to go a couple of times a week (at most). Now I know that Tonya is into her fitness as well as being a very wise person, so I really took this comment on board. I decided to speak to somebody from membership and use my negotiation tactics that they had experienced only a year before! The result? Membership slashed by £9 a month. Truth be told, I didn’t really do very much to get that reduction in my bill… I just mentioned that we had fulfilled our 12-month contract and was wondering if she could do anything for us. Still – £9 is £108 a year, or £180 pre-tax! BUT, I still thought I was paying too much! To cut a long story short, I figured that £82 a month was still too much when there are at least 2 gyms in my area offering a no-frills membership at £16.99 per month (no contract). While these gyms are far more basic and don’t have the luxury of sauna, steam rooms and pools; the equipment is brand new as the gyms are less than a year old. To put this in perspective, we have reduced our monthly outgoing in the gym category from £91 to about £34 – a saving of £57 per month, £684 a year, or £1,140 pre-tax per year! Not bad at all. Furthermore, the new gym is 24 hours so I can go whenever I want! How Much Does Health/Fitness Cost You Each Month? I don’t really like exercising indoors, used to go to a gym but not enough to justify the cost. I would go to one with a pool and 1-2 fun classes per week that I’d like to attend, but not just to cycle on a fake bike. Now my gym costs are $0 thanks to a beautiful lake to swim and paths to run on, well I did buy some running shoes recently but that is about it. It really comes down to your cost per use, if you go all the time it is worth getting the good one, or the one closer to home, if you would attend more. We cut out our gym memberships last year. We bought a home gym (weights, power cage, and a treadmill) and while the initial cost was high, it has definitely already paid off. We don’t have to pay monthly membership costs and don’t have to pay for the gas to drive there! Easy to “gym-hop” in order to save money–lots of free promotions out there! Home gyms, as Michelle points out, also are a good investment. If gym membership is too much for you, there are other ways for you to work out. There’s always the part that you can use for jogging and it’s for free. 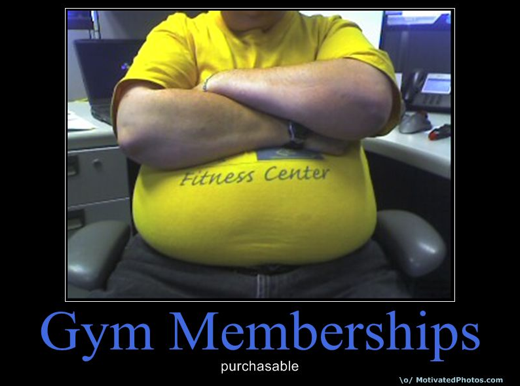 We havent paid gym membership in years. It really wasn’t worth the money when we did. I was thinking about cost fit for a minute but backed out. Just another expense not needed at the moment.